On my most recent trip to Toronto, one of the things we wanted to hunt down was the best pasta in the city. We first went to One in Yorkville. As avid fans of Top Chef Canada, we were eager to try Chef Mark McEwan's pasta, since it's something they always critique the contestants on. Now although I wasn't in the mood for pasta, I have been to all his other restaurants and can always find something to feed my appetite. 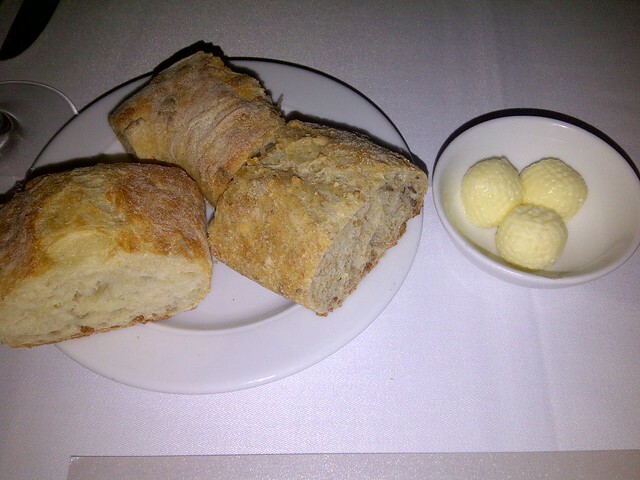 We started off with some bread, which they come around and serve. I much prefer this to the generic bread basket other places dole out, for a few reasons. One, it's more hygienic and the bread is usually served warm, also there is less waste since you only take what you want and will eat. Tonight, they were serving three different kinds, namely a white bread, a multigrain one and also a red pepper one. All were good, but we had worked up quite an appetite on the walk over, so that might have clouded our judgement a bit. 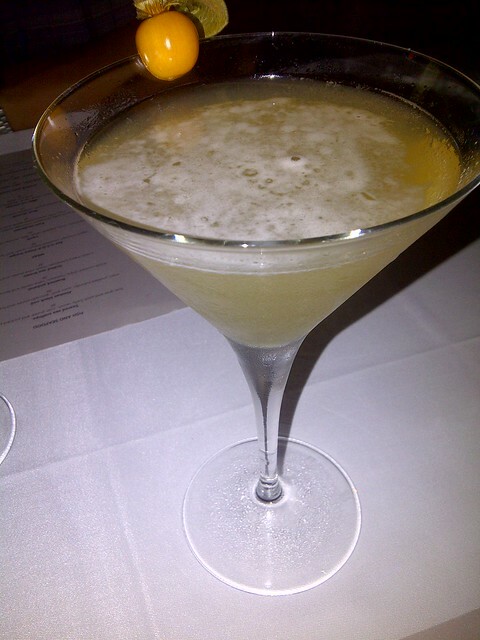 I started off with The One martini, made with Infused apple and pear vodka, pineapple, lime,with a touch of cinnamon and clove. There was a lot going on, but everything did work together. Fruity, earthy and spicy, very drinkable. 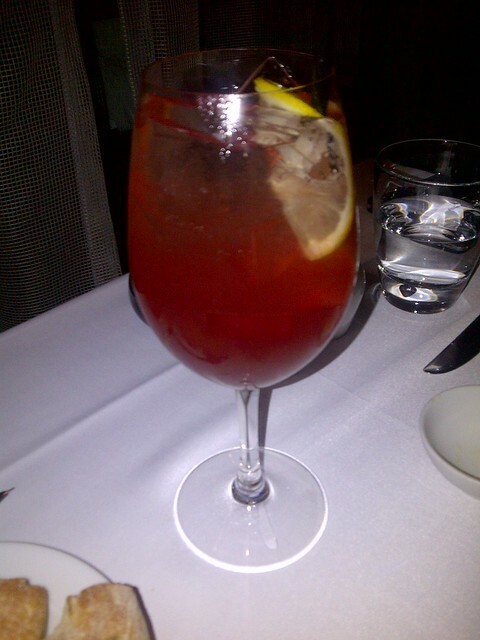 The other cocktail we got was the Hazelton Spritzer made with Absolute Mango, Aperol, One chardonnay, strawberry & pomegranate juice and finished off with a splash of soda. 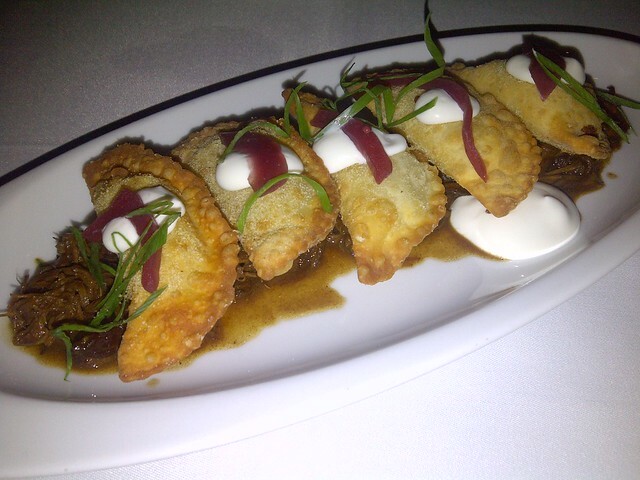 For an appetizer, we chose the Potato and Black Truffle Pierogies. I was sold based on the Black Truffle alone, but reading further into the description, we noticed that stewed shortribs was part of the package. if there was any doubt, this helped to erase any hesitation. So a serving of 5 comes at $24, so it's not cheap, but look at how much short rib there was. Along with the obligatory sour cream and pickled onions, each pierogy was a wonderful 3-biter. Dinner was off to a good start! 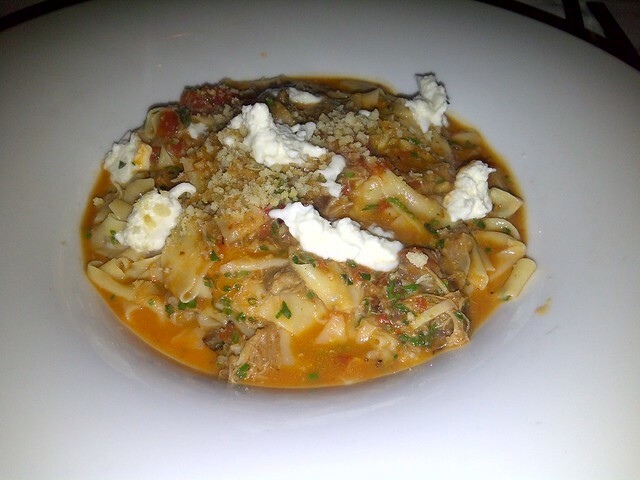 Since we were there to try the pastas, we picked the Lamb Pappardelle, made with a lamb ragu, artichokes, goats milk mozzarellaand buttered breadcrumbs. 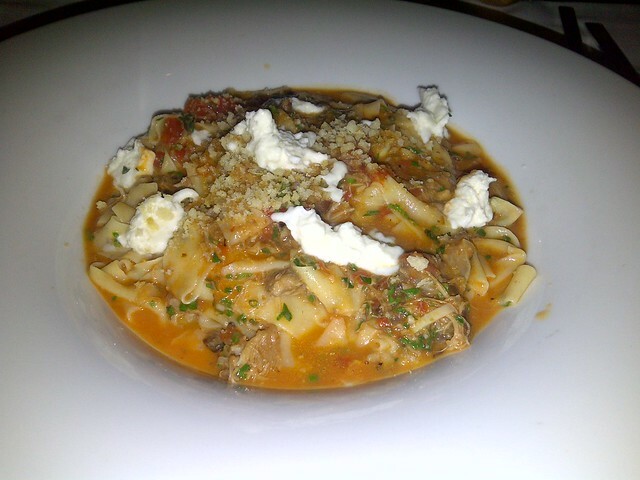 The ragu was very flavourful and tasted as if it had been cooked for hours and there was a good amount of goat cheese on the plate as well. From the looks of it, this should have been an amazing dish. Unfortunately, it wasn't perfect. We both found the noodles much too thin. They were as thin as wonton wrappers, almost paper-thin, and tore apart when you tried to pick them up, so you're left with shreds of pasta, instead of long strips of noodles. And especially with a sauce as rich a ragu, these wafer-thin noodles didn't stand a chance. Could these have not been made "in-house"?? It didn't seem like a $28 dish to me. A few days later, we found a better pasta at Terroni Bar Centriale. As mentioned, I wasn't in the mood for pasta, so I decided to go for meat! 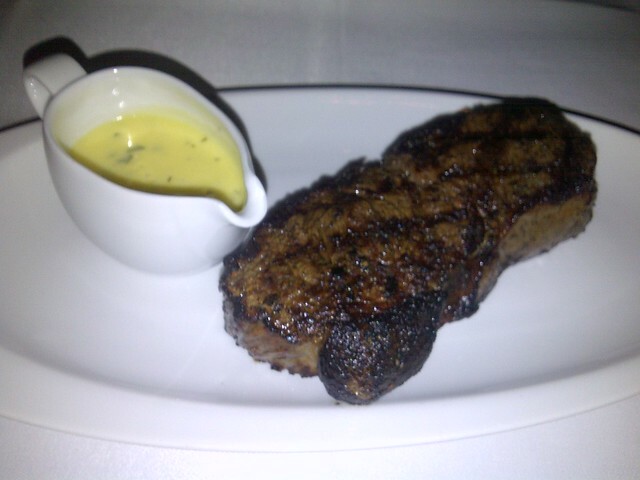 A 12oz PEI Grass Fed Striploin to be exact. This was simply grilled on the outside with a bit of seasoning. The inside was a juicy medium rare, just the way I like it. 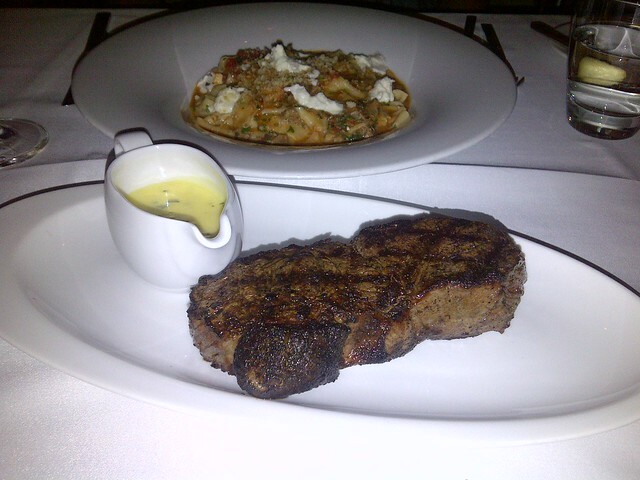 The steaks are served a la carte, but between the pasta and the steak, we didn't really need to round it out with more sides. You get a choice of Bernaise sauce or a chili tomato relish. I think I erred in picking the bernaise, but that's just me, I'm not a huge creamy sauce fan. But the thought of relish with a steak turned me off more. The meat was really moist and the pink centre is just right. 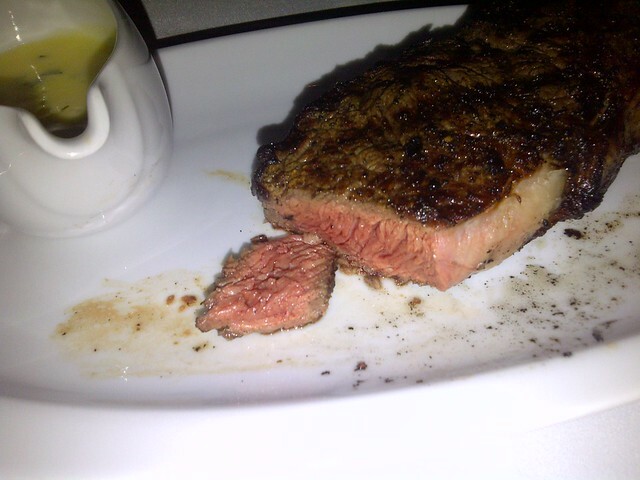 This is very similar to a "black and blue" steak, or some people refer to it as "Pittsburgh". They didn't have a Daily Special on the day we went, but ask anyways. We assumed pastas were made in-house, clarify if you're ordering pastas. With a difference of $4, I would have gladly eaten another order of pierogies over the pappardelle. Pok Pok - Is it really worth the hype? Lee in Toronto - Oyster Caesars and more! Salad King - Cheap and Spicy! 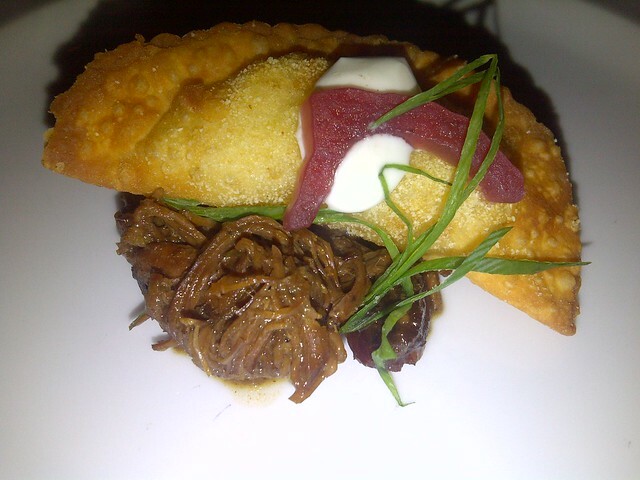 Reflections - appies and bevvies! Revisit - Fray - a lot has changed! Weekend Brunch in the Sun! Campagnolo Roma - closer to home! Wildebeest - I ate like a Beast too!